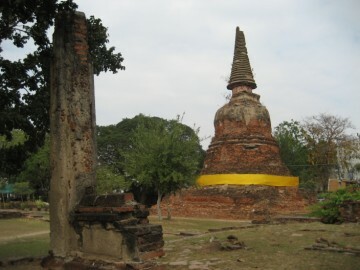 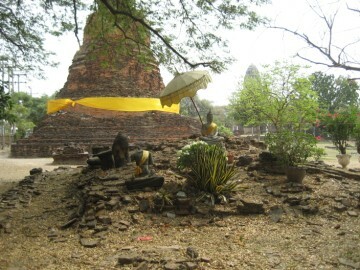 and later restored during the Late Ayutthaya period (1629 - 1767 AD). 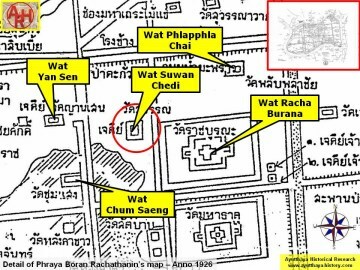 Rachathanin's map of 1926. 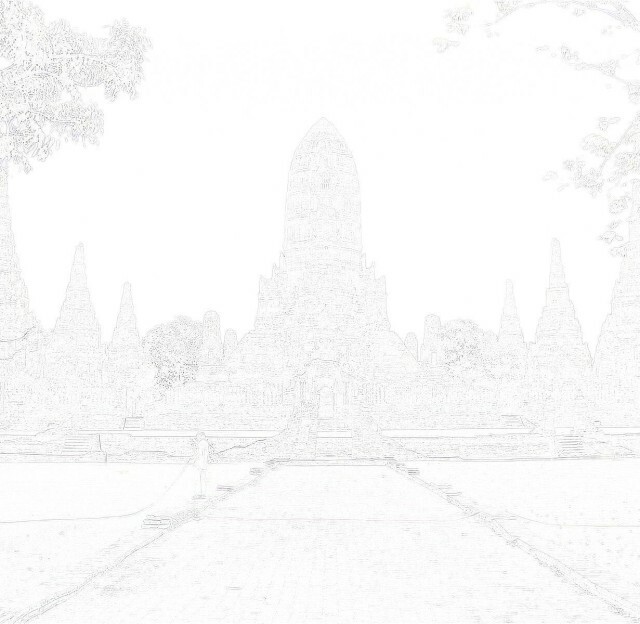 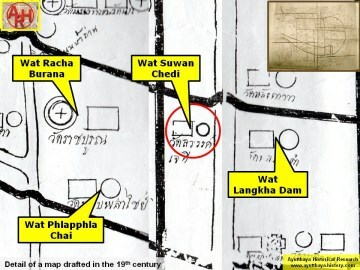 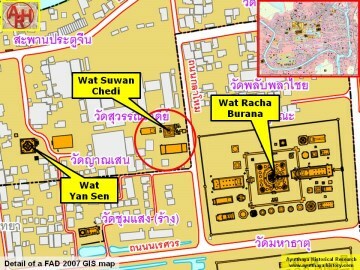 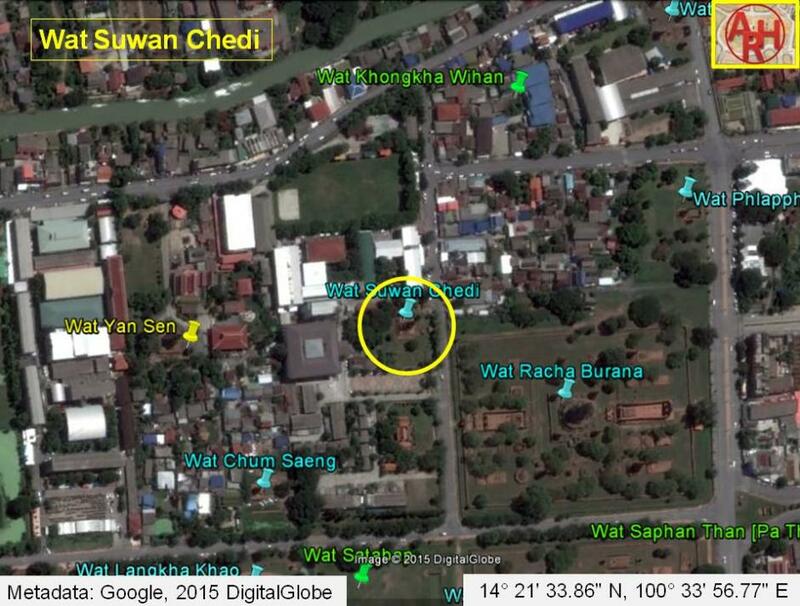 The mid-19th century map indicates the existence of a chedi. 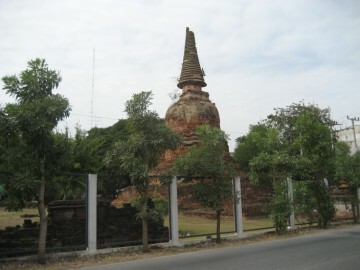 Heritage" at the Chao Sam Phraya Museum on 5 November 2016.